One Lafayette business is doing it’s part to help tax-stressed residents chill out today. Kona Ice parked at Lowe’s for a couple of hours this afternoon handing out free shaved ice for the 6th Annual National Chill Out day. Other local merchants also offered some freebies to help folks forget about the IRS. 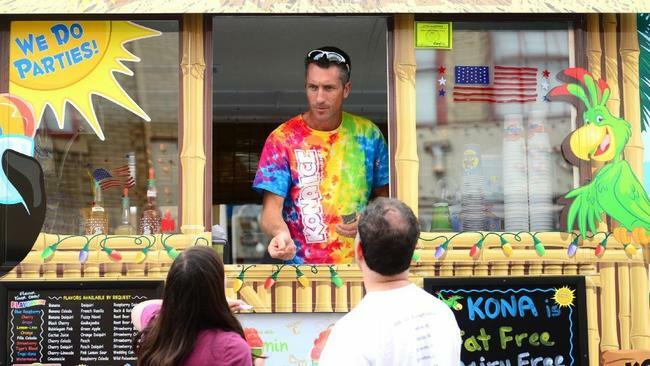 Kona Ice owner Dwayne Guidry says during its eighth year, the nationwide event aims to help people relax and, in a small way, ease the anxiety of paying our income taxes. “It’s nationwide. Kona has 1,500 trucks nationwide and I would say 50 percent of the franchises are doing the chill out day and of course if you live in Dakota, Chicago or the east coast its really cold. So they really got the chill out up there. Here it’s nice and sunny today.